Feel properly supported on our Chiropractic Form mattress; the only mattress endorsed and recommended by the Canadian Chiropractic Association. The goal in our Chiropractic collection is to promote correct postural alignment and give you a healthier night's sleep. The Zoned Pocket Coils is thicker in the centre third to support your body where it needs it the most; where we carry 60% of our weight. The foam conforms to your curves to ensure all pressure points are being alleviated. Lastly, the Eurotrex Visco Gel Memory foam is an extremely open cell foam that surrounds to your shape and helps regulate your body temperature. Conveniently roll packed into a box for easy delivery and set up. Canadian Made, Canadian Owned. 828 Zoned Comfort Pockets provide pressure relief and eliminate motion transfer for an undisturbed rest. Offering seven unique layers of comfort, the SGH-616-Q mattress is a wise option for a restful night's sleep at a value added price! Our CorLiving mattress technology features 3.5 inch of body contouring memory foam in the top layer. This comfortable memory foam layer hugs your body and relieves pressure points enhancing deeper sleep with less tossing and turning. The 5.5 inch base layer provides a denser foundation of support and stability that reduces mattress movement while a 1 inch ultra-soft foam layer provides added comfort. The complete foam mattress is wrapped in a woven zippered Aloe Vera infused fabric cover, soft and subtle for your skin. When properly cared for, our mattresses are guaranteed to hold their shape bringing you sweet dreams that last for years. Natural luxury offered in an eco-friendly manner. Springwall is proud to offer our finest eco-friendly mattress, Garden. This mattress has 3 lavish layers of specialty foam: hi density bio foam, Energex which is infused with natural cooling gel, and CocoBreeze Comfort Foam. With no additives or fillers, all our foams are CertiPUR-US certified. The mattress is made complete with a natural content bamboo cover. Bamboo is a natural anti-microbial and an easily renewable resource that helps reduce our carbon footprint. Sleep better, rejuvenate and fuel your body the natural way! Every detail of the Bianca 6In Gel Foam Mattress is sure to impress, beginning with the outer layers; a durable double jacquard protective covering on top and beautiful stitch bone detailing on the bottom. Safety and peace of mind are incorporated in the design, thanks to two fire-resistant barriers protecting the inner components of the mattress. The exceptional support of the mattress comes from the 5In regular foam and 1In gel foam layers. As you relax on the mattress, your body will benefit from the pressure-relieving qualities of the foam, as your weight evenly distributes itself along the foam surface. Wake up in the morning feeling refreshed thanks to the 1In gel foam that offers you a cooling sensation while dissipating your body's heat as you sleep. The tight-top provides helps balance out the cushiony gel layer with a hint of firmness. The Bianca 6In Gel Foam Mattress comes with a 10 year pro-rated warranty, to guarantee rejuvenating sleep for years to come. Make your nights calm with The Celeste 7In Bonnell coil mattress featuring a tight top with 390(Q) Bonnell coil innersprings allowing for maximum durability. The 6.4In 11.3 gauge Bonnell coils provide an equal weight distribution relieving pressure points for a well-rounded and comfortable sleep. Its 100% Rayon barrier and 20D foam layer rest above the Bonnell coils offering the benefits of both foam and coil based mattresses. The Celeste 7In mattress comes compressed and rolled inside a wheeled carton for ultimate convenience and portability. 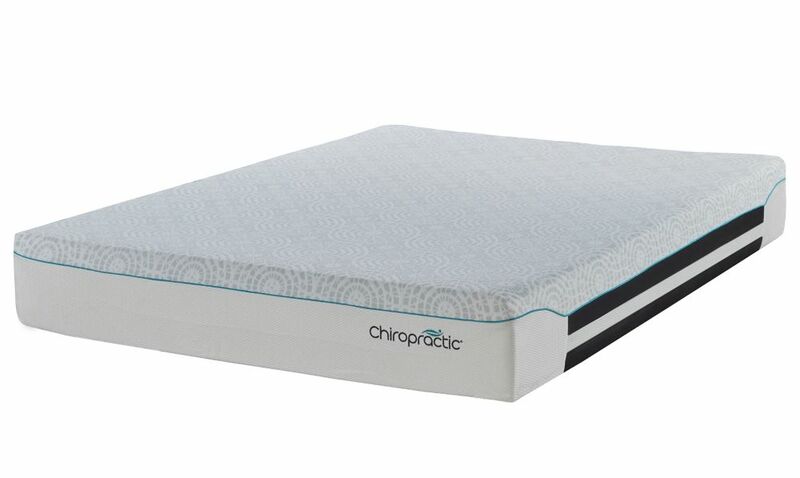 Form Pocket Coil 12-inch King Mattress Feel properly supported on our Chiropractic Form mattress; the only mattress endorsed and recommended by the Canadian Chiropractic Association. The goal in our Chiropractic collection is to promote correct postural alignment and give you a healthier night's sleep. The Zoned Pocket Coils is thicker in the centre third to support your body where it needs it the most; where we carry 60% of our weight. The foam conforms to your curves to ensure all pressure points are being alleviated. Lastly, the Eurotrex Visco Gel Memory foam is an extremely open cell foam that surrounds to your shape and helps regulate your body temperature. Conveniently roll packed into a box for easy delivery and set up. Canadian Made, Canadian Owned.